Test your AC…now: Before it gets any hotter, make sure your air conditioner is running properly. If you are having trouble getting consistently cool air, take it into a mechanic before you find yourself caught in the summer heat. Get your oil changed: Routine vehicle maintenance includes changing your oil and getting your tires rotated. If you haven’t done this since the winter, it’s time to get this done. We recommend having a professional mechanic do this—they’ll also inspect your car for any issues. 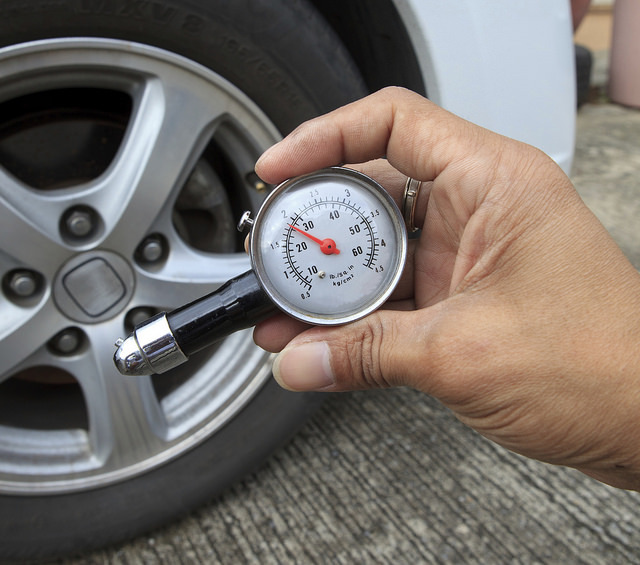 Check your tire pressure: You should be checking your tire pressure every month, but as temperatures heat up, you will want to make sure they are not overinflated. Now is also a good time to switch to summer tires. Inspect the easy stuff: Test your battery, check your headlights, and replace your air filter and windshield wiper blades. These tasks are easy enough to do without the help of a mechanic, but if you are not good with cars, it is better to leave it to the professionals. If your car isn’t quite roadworthy after these checks, consider coming in to Chip Wynn Motors to find another vehicle to meet your needs. If you want to keep your used car running for a long time, you must keep up with routine maintenance, such as tire rotations, engine tune-ups, topping off fluids, and frequent checks of critical components like the engine, transmission, tires, brakes, and battery. Oil changes, however, are probably the most important part of routine maintenance. Depending on your vehicle, you will need an oil change roughly every 3,000 to 7,500 miles. Consult your owner’s manual for the exact frequency. So why are oil changes important? Engine oil provides lubrication for all of the moving parts of your engine. These parts create a lot of friction and could easily overheat, but the oil keeps things cool. More importantly, the oil removes particles and sludge from the engine. Without oil, the engine would grow dirtier over time and eventually malfunction. Because the oil acts as a cleaning agent, it is important to regularly change it out. Changing your oil regularly won’t just keep your engine from getting damaged. It will also ensure that your vehicle drives as efficiently as possible. While shelling out $20 to $30 for an oil change a couple times a year may seem like a burden, it will save you on fuel costs and eventual engine repair costs. If you’d like to learn more about taking care of your vehicle via routine maintenance, feel free to contact our friendly staff at Chip Wynn Motors. Posted on April 12, 2018 May 7, 2018 Categories Vehicle EducationTags Chip Wynn Motors, Maintenance, Oil Change, Vehicle ServiceLeave a comment on Why Are Oil Changes Important? Change the oil and rotate the tires: Depending on the age of your vehicle, type of fuel used, and how frequently you drive, you need to change the oil roughly two to four times a year. If your miles are on the higher side each month, consider getting an oil change at the change of every season. Be sure to rotate the tires at the same time and top off all fluids. 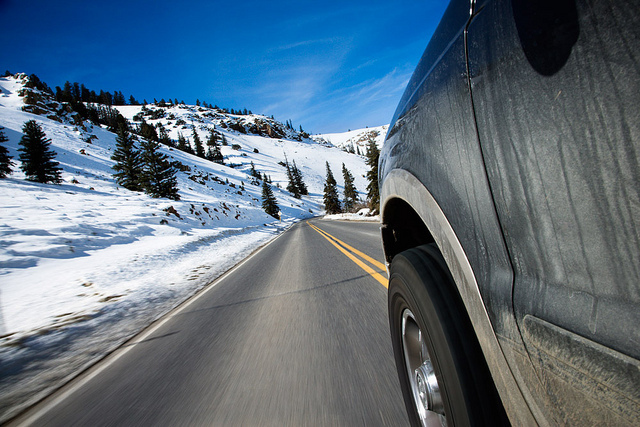 Get a car wash: Road salt from wintry roads can do damage to your car if left untreated. Give your car a thorough wash, and don’t forget to clean the inside as well! Replace your windshield wipers: After a snowy, cold winter, your wiper blades are likely nearing the end of their lives. Replace them now before those April showers. Get new air filters: Before the pollen starts to spread, install a new air filter for fresher in-cabin air. In fact, now is a good time to replace all air filters. To truly enjoy the warmer weather, stop by and see us at Chip Wynn Motors for all of your pre-spring maintenance. 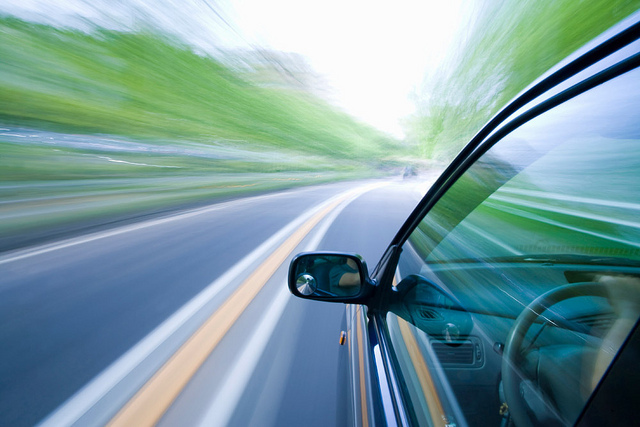 One less thing on your to-do list means more time for an adventurous road trip! We have had an unseasonably warm winter in Paducah thus far, but we’re just getting started now that we’re into January. There is still time to have some crucial winter maintenance done to your car before the temperatures drop any further. Change your oil now before it gets too cold to spend time outside under your car. Have your tires rotated. Replace them if the tread is worn and you notice them sliding on wet pavement. Test your battery. Battery performance suffers in the winter, so you’ll want a top-performing battery when temperatures drop. Check your lights: Visibility decreases in the winter time, so it is more crucial than ever to make sure your headlights, taillights, brake lights, etc., are all operating. Replace any bulbs that have burnt out. Ask a professional to inspect your engine for any work that might need to be done. Replace your windshield wiper blades to make sure you can remove snow during a blizzard. Pack an emergency kit in the trunk of your car. Your car should always have an emergency kit, but in the winter, it is important to add coats, hats, gloves, and blankets. Are you concerned your current daily driver won’t survive the winter? Browse our used car inventory at Chip Wynn Motors. Choosing Motor Oil: Which Is Right for You? Changing your oil regularly is one of the best ways to maintain your car. However, there are several types of motor oil now on the market. In particular, you’ll have to choose between various viscosities, a measure of thickness, and between regular and synthetic oils. 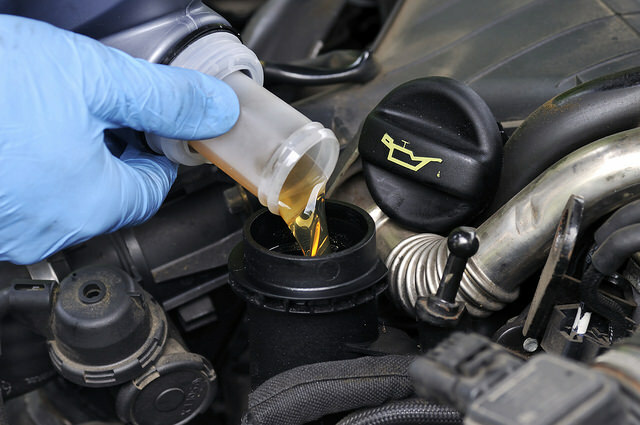 Below are some tips on choosing motor oil that’s right for your car. Does It Meet The Standards? One of the steps in choosing the right oil, according to Popular Mechanics, is to make sure it meets the standards of the American Petroleum Institute (API). Oils that meet API standards are marked on the label of the container. You should also check to see that your oil has passed the Energy Conserving test, a test measured by the Society of Automotive Engineers (SAE). Next, choose between conventional or synthetic oils. Most conventional oils are made from a combination or recycled oil and refined petroleum. This type of oil has been in use for years, and it lasts roughly three months or 3,000 miles. Synthetic oils are specially designed in laboratories, and they often contain more durable compounds and detergents. These last about five months or 5,000 miles. Finally, choose the right viscosity, or thickness. There are two numbers that show you this. For instance, 10W-30 can be broken down like this: “10” is the thickness at 0 degrees Fahrenheit (“W” stands for winter) while the “30” is the thickness at 212 degrees Fahrenheit. So, 20W-50 has more viscosity than 10W-30. You typically want thicker oil so it better coats the engine, but oil that is too thick will slow movement. The 5W rating is usually recommended for winter, while 10W is good for summer. We at Chip Wynn Motors hope this helps. And remember, a simple oil change can keep your used car running longer. Posted on May 30, 2017 May 30, 2017 Categories Service TipsTags Chip Wynn Motors, Choosing Oil, Motor Oil, Oil Change, ServiceLeave a comment on Choosing Motor Oil: Which Is Right for You?